Hey, Desiree' here. 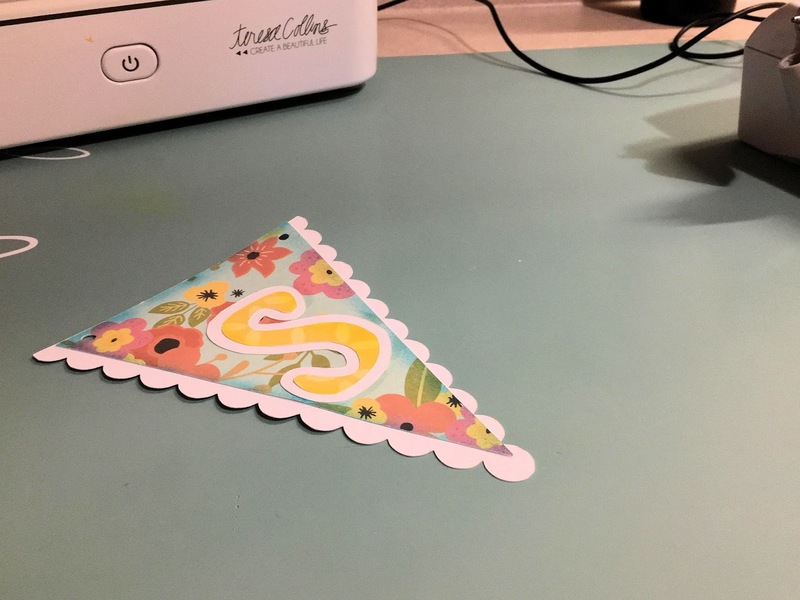 It's my VERY first post for the Craftwell Blog!! To me it feels like winter has been around since FOREVER! 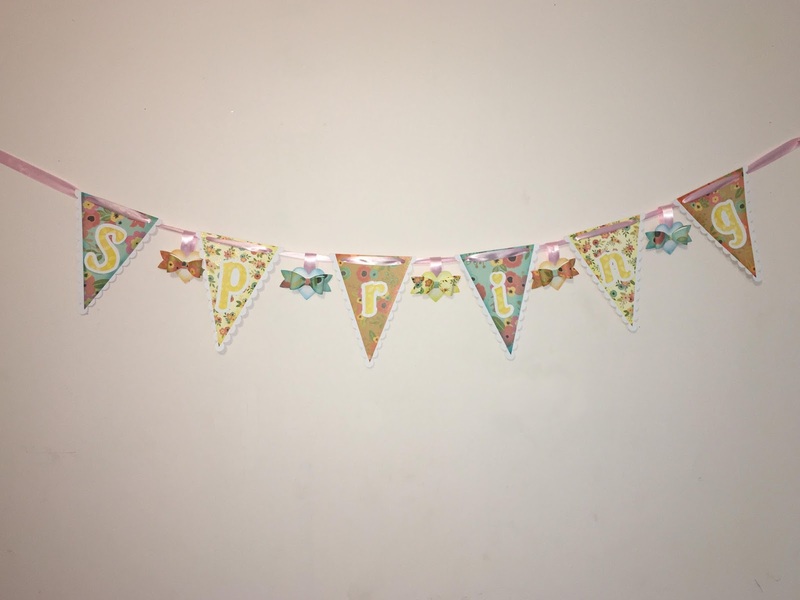 I know Spring is just around the corner though, and so I decided to make a banner to celebrate it! What else are banners for [besides being adorbs of course]? 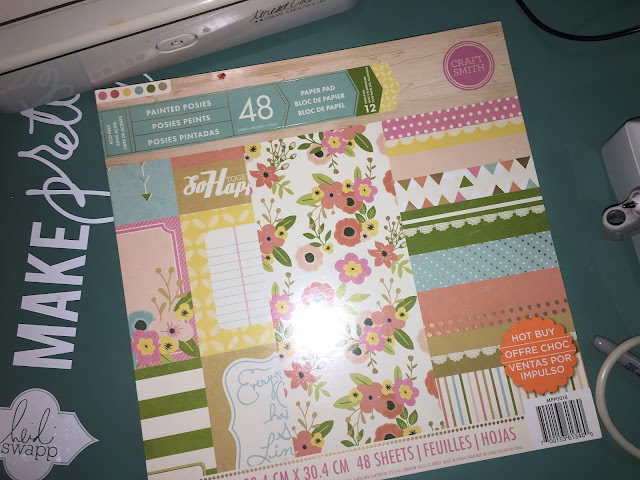 Papers - Craft Smith"Printed Posies", stack. The first step was to figure out which of all the papers in my stash were fair enough for a spring banner. I decided that the Printed Posies stack's papers were fairest of them all. 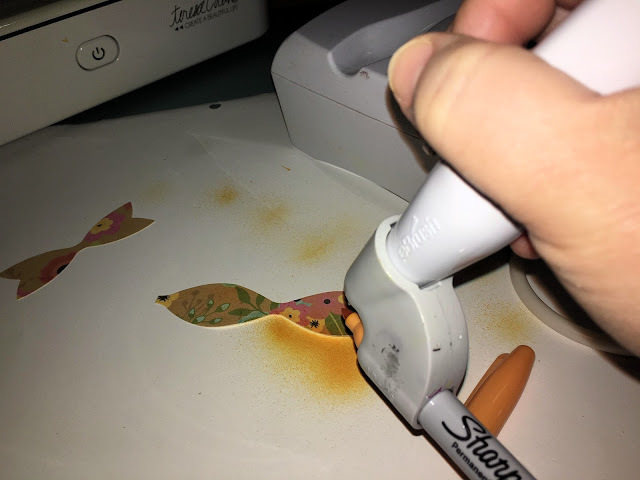 Then I fired up the electronic cutter! I cut out all the banner pieces, the wording, and all the other banner elements. I then used the dies listed and my Cut N' Boss to cut out all the extra somethings for this banner. Next I did some shading with my beloved eBrush using my Sharpie markers! Such a nice finishing touch! That's one reason it is one of my most fave tools! Love it, so much! I shaded the banner pieces, the letters, and even the little extras. Once all of that was done, I needed to put all my pieces together. Using double sided tape I placed the banner pieces over the scalloped backing pieces. I then took my letters and placed them upon the white shadow, using the tacky glue to keep it all together. 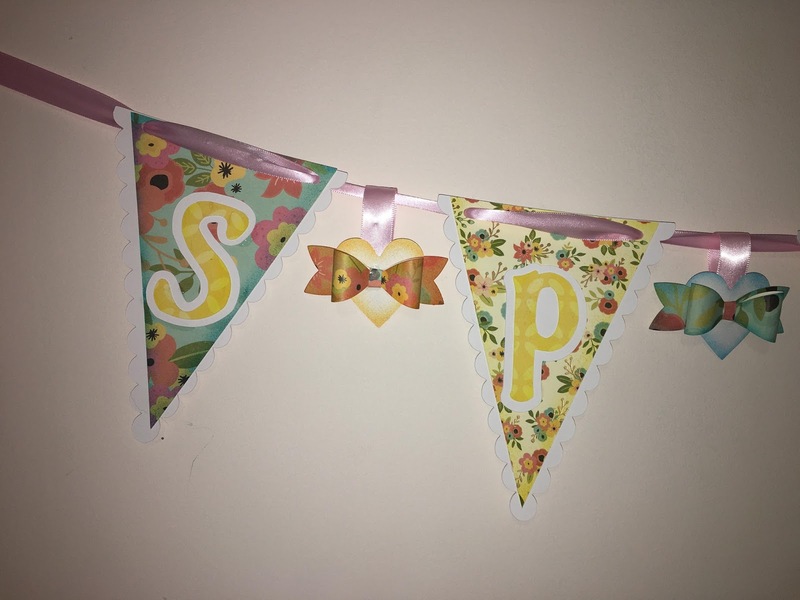 Once the letters were dried, I tacky glued them to the banner pieces. Using my Crop-A-Dile , I punched holes near the corners of each banner piece, to thread my ribbon through once the banner is ready to be hung. I strung my banner pieces on my ribbon. Once I was happy with how it looked, and it was hung. It was then time to do the extra. Between each banner piece I took a piece of ribbon looping it around I set it in place by stapling the heart and ribbon together with my Tiny Attacher by Tim Holtz. Then to hide the staples I tacky-glued my paper bow ties over them. I am pretty pleased with how it turned out! Hopefully you who view this are too! I am also super hyped for spring to be here already! [Come on Spring!! LOL] It is my hope in some way you were inspired! Wishing everyone a happy Spring!! Beautiful Banner, Desiree!! Winter does feel as though it has been around forever. This banner is perfect for Spring! !